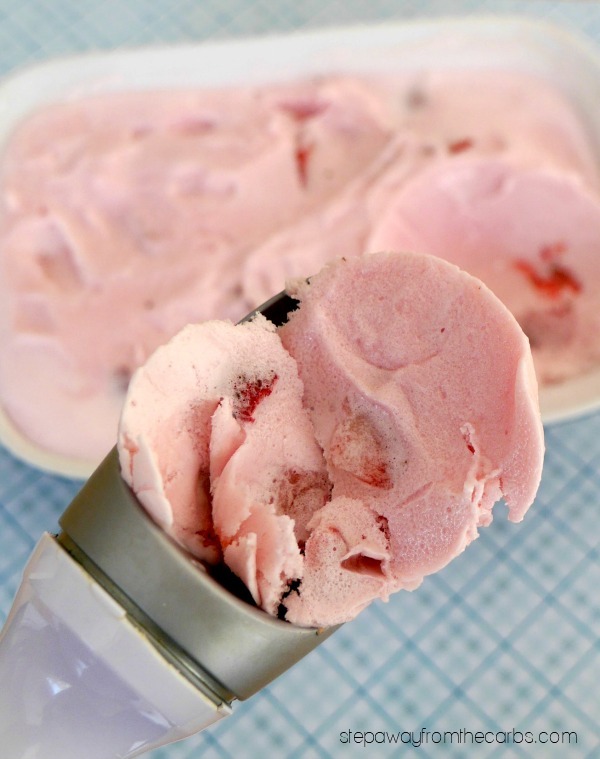 This low carb strawberry ice cream is easy to make at home and is super low in carbohydrates. Disclosure: I was provided with this ice cream mix from LC Foods free of charge in exchange for my fair and honest review. Please see my disclosure policy. This post also contains affiliate links, which means that at no extra cost to you I can make a tiny bit of money to help support this blog. Thank you! The sun is shining and I’m ready for summer! And nothing says a summer treat like some amazing ice cream (although who am I kidding, I eat ice cream year-round). 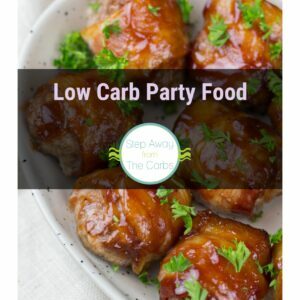 To avoid messing up my diet, I have to make sure that there are some low carb alternatives available for me to enjoy. So I was very pleased to be asked to try out this ice cream mix from LC Foods – and I chose strawberry flavor! The nutritional data certainly looks impressive – when the ice cream is made up (by adding water, heavy cream and vanilla extract), ½ cup contains only 1.6g net carbs. 1.2 of those are sugar alcohols – so if you don’t include them in your carb counting – it’s only 0.4g net! 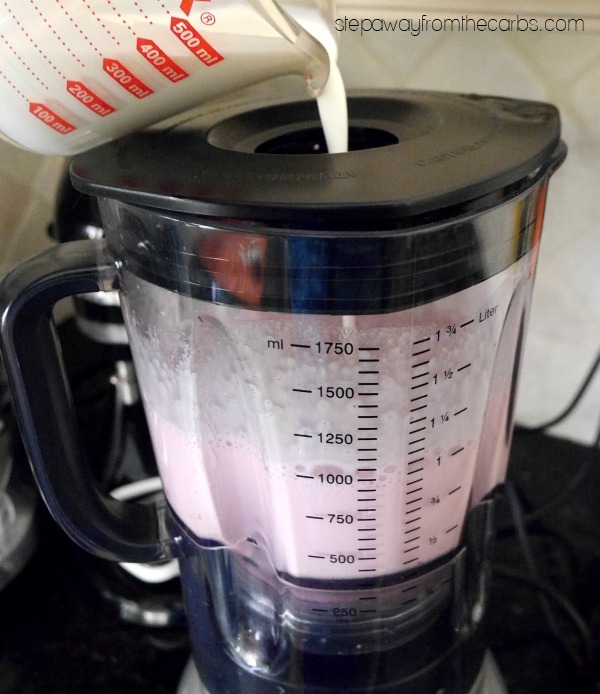 I added the ice cream mix, water and extract to a blender. After blending for two minutes, I added the cream, and blended again. I transferred the mixture to a bowl, covered it and placed it in the freezer for an hour. Then I poured it into my ice cream maker, and let it churn for a while before scooping into a serving dish. 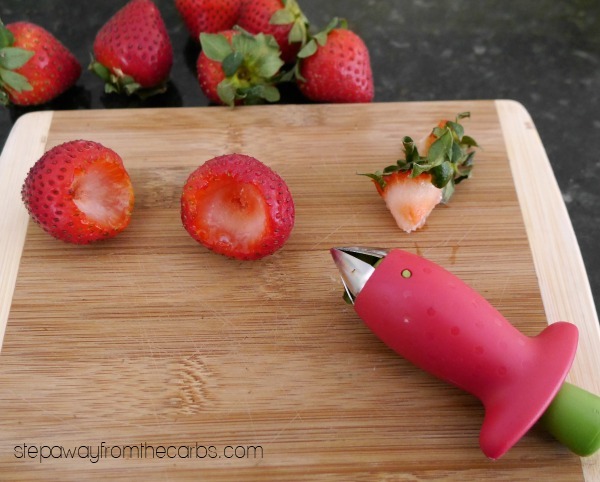 I decided to add in some fresh strawberries, so I hulled them (with my SUPER fancy gadget!) and chopped them up small. I stirred them into the ice cream and placed it in the freezer. When it was ready, I did a taste test. 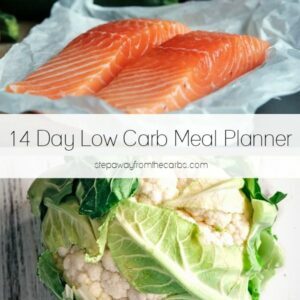 For the carb count, this is pretty good. The fresh strawberries definitely finish it off perfectly. Highly recommended! 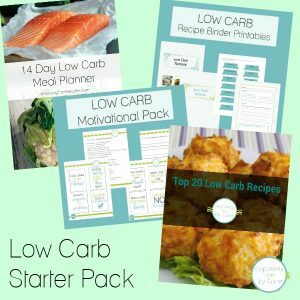 To get your strawberry ice cream mix (and check out other flavors and many more amazing low carb products!) go to LC Foods’ website. Does it use the whole package to make one batch of ice cream? How many cups does a batch make? This looks great!